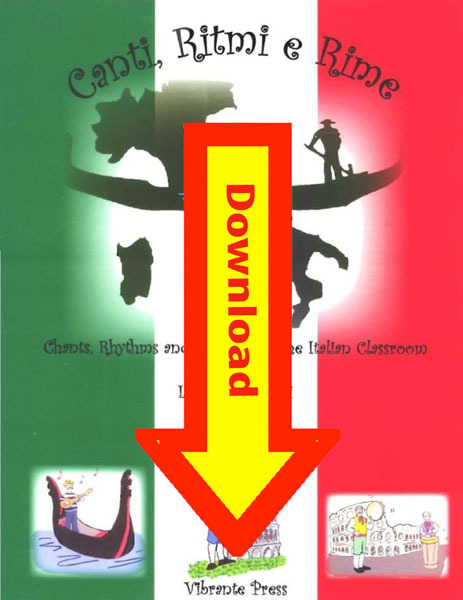 Canti, Ritmi e Rime – Chants, Rhythms and Rhymes for the Italian Classroom Digital Download (by Lonnie Dai Zovi) is an exciting, revolutionary way of teaching and reinforcing Italian through chants set to catchy tunes or penetrating beats. 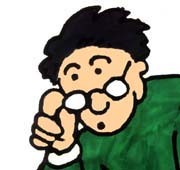 The chants teach both thematic topics (family, weather, house, body, countries and more) and also grammatical points such as commands, prepositions, object pronouns, past tense with essere/avere and verb conjugations. No 5th through 12th grade Italian class should be without this CD/Book combination. The Canti, Ritmi e Rime set includes a 42 track CD, (with all the songs in the book recorded, plus the music alone for karaoke or students’ original compositions ) and a book with the scripts of the 21 songs, cloze exercises, and other extension exercises.